the most spidery of all the cybister Amaryllis. 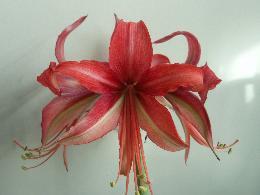 If you prefer a more full flower, then you could try Amaryllis Bogota, pictured above. Cybister Amaryllis are a group of amaryllis derived from a south America species. They are distinguished by their spidery flowers and recurved petals. The flowers are typically two toned in color. 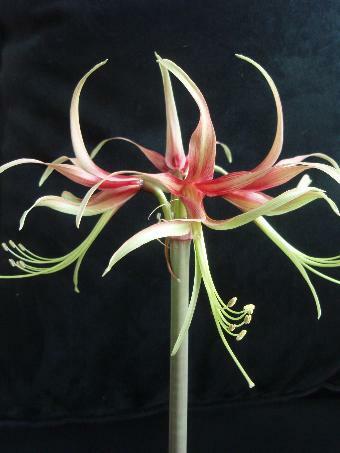 Many people have a hard time believing that these exotic beauties are Amaryllis! However, they are not any more difficult to grow to regular Amaryllis bulbs. This group of amaryllis tends to be smaller-sized, with attractive bulbs no bigger than a small orange. They are perfect for a sunny windowsill. Most of the hybrids in this group have only been available since the early 2000s, but several varieties are now available for purchase.